I am excited and honored to introduce a partner to the blog! 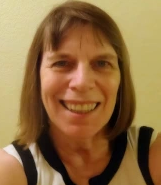 Marie Treleaven has agreed to write a series of spotlight articles about the committees of the California Genealogical Society. Most of our volunteers do their work as part of a committee with a designated chairperson who submits monthly reports to the board of directors. Look for Marie's first article later this week. My name is Marie Treleaven and I am a new member as well as being fairly new to genealogy. I assist Kathryn Doyle with the newsletter, press releases and now this blog. I am an archaeologist, former college professor, and recently a nonprofit researcher and administrator. Like thousands of others I am not a native Californian; my roots are in New York and New Jersey. I find family history research as exciting as an archaeological dig and even more fulfilling personally. I was glad to find the California Genealogical Society. Just having so many people who share the same interest is exciting and stimulating. Back in April I went on the trip to the Family History Library in Salt Lake City and it was an eye-opener. I can’t wait to go back. My assignment with this blog is to bring the perspective of a brand-new member to different elements of the CGS. I know I will learn a lot and I hope that all of you, no matter if you are an old-hand or a newbie, will find something that you did not know before or maybe had not thought of in a long time. Glad to see this news about upcoming articles. Marie, as a fellow (relatively) new member, I think reading your articles will be helpful in seeing ways to also join in and volunteer...not to mention, appreciate a fellow New York and New Jersey escapee's viewpoint, and learn to see how archaeologists see things (since that is my daughter's major). Looking forward to "meeting" you online via your articles!